ESI Media – which comprises the Independent, the i paper and the Evening Standard, all owned by Russian oligarch Evgeny Lebedev – has had an exciting few years. From taking the Standard free and launching a concise sister paper to the Independent, the i, back in 2010, to hiring the youngest ever editor of a national newspaper earlier this year, the group has consistently evolved with the changing face of news. “It’s a challenge for all print newspapers to maintain circulation and readership, and is even harder for paid-for titles,” says digital MD Zach Leonard. “But we’ve actually got more people reading Independent journalism today than ever before because of the absolutely radical growth of the website.” Worldwide, the company now sees 30m unique users every month and only 55 per cent of those are now in the UK, he said. 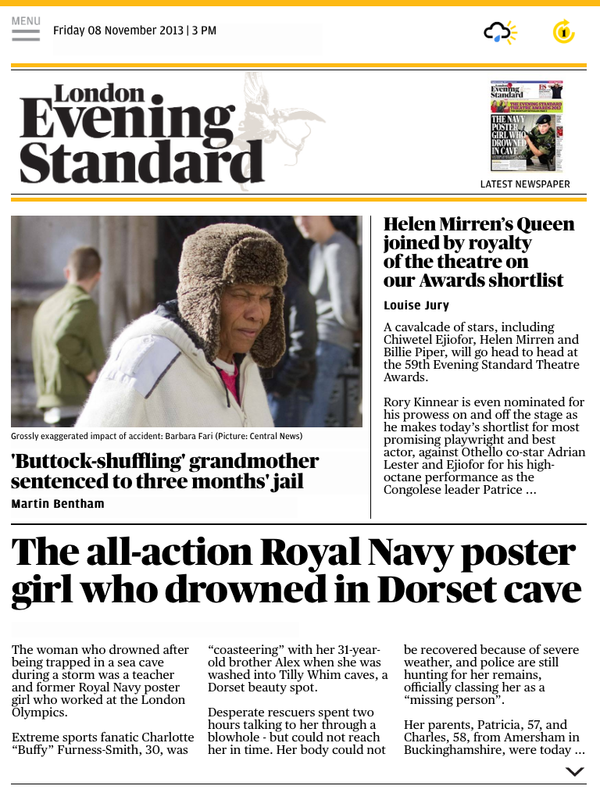 As part of its most recent reinvention, which includes a facelift for the Indy, a new iOS app has also launched this week for the Evening Standard. An Android app and a dedicated Kindle Fire app are on the way in the coming weeks – the Fire delivers the second-largest audience share after iOS – with the same updates promised for the Independent before Christmas. The apps are all powered by Page Suite, chosen as something that would work for both the free London paper as well as the paid-for national title. “A year ago, 20 to 25 per cent of our web reads were coming from mobile,” Leonard said. “Including our apps, we’re solidly north of 40 per cent every single month.” The new Evening Standard app combines digital elements with a PDF replica of the day’s paper, seeking to satisfy both those who enjoy the traditional linear view, as well as serving up dynamic elements no doubt with a younger readership in mind. People will be able to see a rolling week of content, as well as gaining access to a 30-day archive. Yes! magazine, which comes out in print each Friday, will also stay in the app for an entire week. “We’re hoping the new app gives people a reason to check in with the Evening Standard on their way to work,” he said. The app uses push notifications to alert opted-in users to the availability of the latest edition, as well as automatically downloading each edition in the background for the reader to view offline. Within four days of the app’s release, Leonard says the Standard is running around 50 per cent more additional page impressions. A later release will bring video into the dynamic content section and Leonard said the company’s TV channel London Live, which is launching online and on mobile in the new year, could provide a tie-in. The company is using both print and digital resources to support the production of this new range of apps and has committed to a rather gruelling-sounding digital production schedule, actively curating a digital edition of the Standard up to five times a day. Leonard says he hopes the paper will be able to deliver an entirely virtual evening edition in the near future. ESI is actively working with the Audit Bureau of Circulations – the organisation that counts newspaper readership – to create a standard for measuring digital publications. “We’re seeing a move towards metrics that are a lot more robust,” Leonard said. Native, RTB and transactional ads? The company is now looking to ensure it can sell truly cross-platform advertising packages, in some instances encouraging its historic print advertisers to go digital. Within the Evening Standard app, as well as the upcoming updated Independent app, there will be IAB-standard ads, as well as overlaid and full-page interstitials between news content. This entry was posted in Uncategorized and tagged apps, digital, evening standard, independent, journalism, mobile, mobile marketing magazine, newspapers on November 10, 2013 by kirstystyles1.